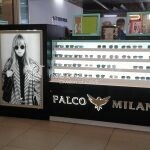 This entry is filed under retail carts, retail kiosks, Retail Kiosks Made in the USA, Retail Mall Kiosks, sunglass carts, sunglass kiosks and tagged beach, Carts, mall, shopping center, sunglass carts, sunglass kiosks, sunglasses. 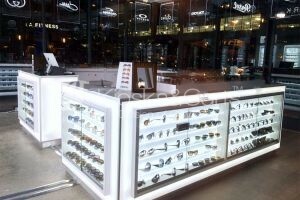 If you’re interested in fashion, starting a business with sunglass kiosks can be a great way to make some money. Before ordering your first batch of sunglasses, you have to do some research and create a solid plan. It depends on you if you write a business plan or not, but at least you should consider the following: How much money do you have to start? What will be the name of your business? These are just a few considerations you must have in mind when creating your plan. Choose the location of your business. 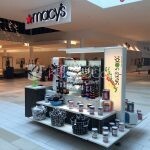 If you decide to create your store physically, we recommend buying a cart or kiosk. 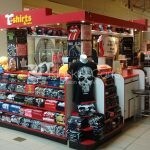 They are cheaper than buying a store and can be located inside a shopping center. Before doing this, you should always consider the location. Shopping centers and cities near the beach are ideal places for a sunglasses business. Investigate the types of sunglasses that are fashionable. The last thing you want is a shop full of glasses from last season that nobody will buy. While some people buy sunglasses just because they need protection from the sun, most customers want sunglasses that are fashionable. Keeping up with trends can be an exhausting task. Contact distributors and sunglasses manufacturers. You can not start your business without a stock of sunglasses. Investigate the prices and sales conditions of different companies. 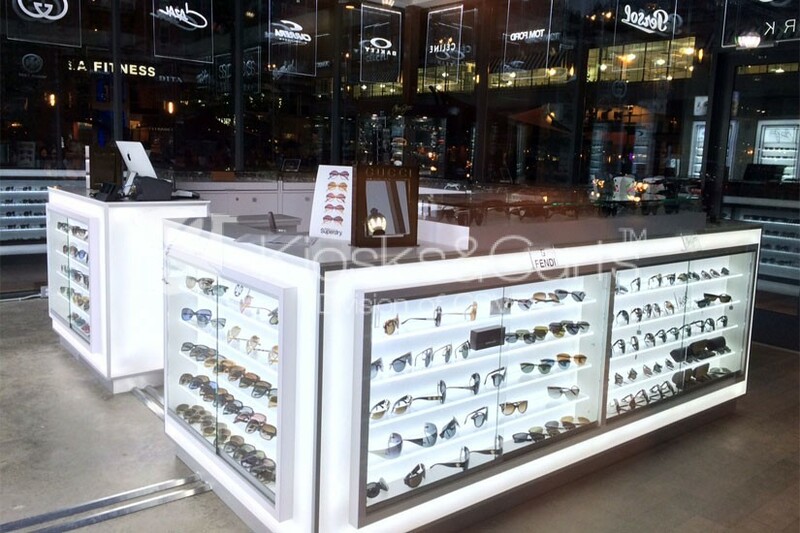 Once your research is complete, negotiate a sales contract with one or more distributors or manufacturers to have the styles of sunglasses you want in your store. Another advantage of using a kiosk is that you do not need additional cabinets. 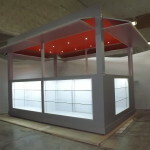 Most kiosks include large exhibition areas. In these areas you can place your products so that everyone can see them. Another tip is that you decorate these areas according to holiday seasons to give it a better look. Place ads for your sunglasses business. Customers will not buy your sunglasses if they do not know your business. Create a fashion blog, place an ad in small local magazines or create your own ads with your personal computer. If you are in a high visibility place like a shopping mall or in front of the beach, you may not have to place many ads. 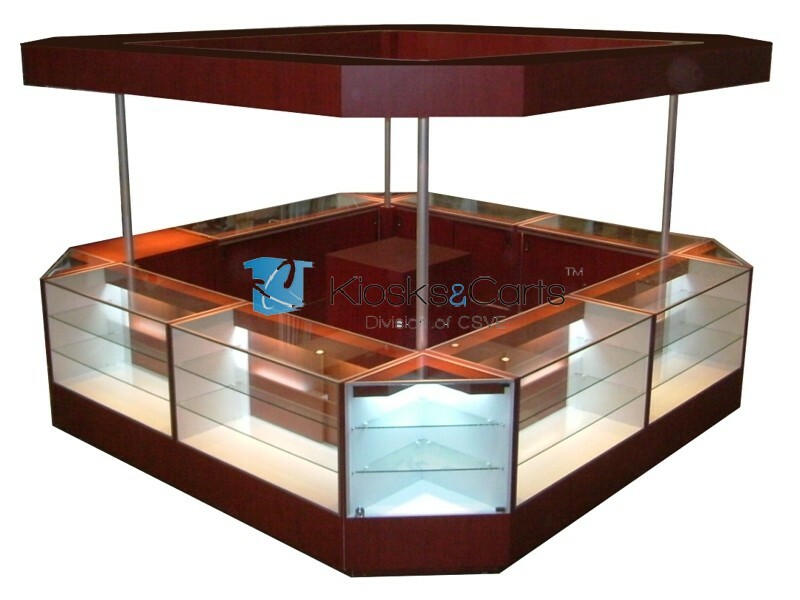 If you want more information about kiosks and carts, contact us, we can help you find the ideal for your business. This entry is filed under Coffee Carts, Coffee Kiosks and tagged capuccino, coffee, cold brew coffee, iced coffee, kiosk. 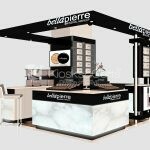 Unlike a coffee shop, a coffee kiosk requires less space to operate, which is reflected in lower investment, because it requires only a bar with an approximate area of 10 sq yd, shelf, refrigerator and the coffee machines to prepare cold and hot drinks. 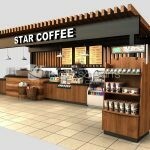 A coffee kiosk is ideal to settle inside malls, self-service stores, schools, hospitals, transport terminals and anywhere with a significant flow of people. You have to identify the perfect place to attract customers. A great location could be within a school, particularly within a university or in a park surrounded by office buildings, because that is where you will find a large number of coffee consumers. If your coffee kiosk has this location, prepare to have a strong demand during peak hours, so it is recommended that a kiosk be equipped with a machine with a capacity of 10 to 14 liters that can dispatch 50 to 60 cups per hour. Having a coffee bar, will allow you to make a profit of up to 400% per cup, because the permits are not as expensive as those of a local established and do not require waiters or other service. Not bad, do not you think? If you want to have your own coffee kiosk , contact us, our assitants will offer you the best alternative.